A tea friend had told her of this one farmer who was particularly difficult to deal with. 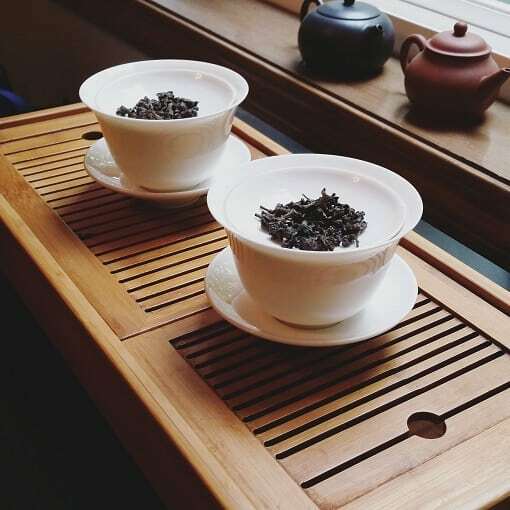 He was a producer of some exquisite Dong Ding oolongs, but if he didn’t think a person was “worthy” of the tea—or didn’t have good enough tastes—then he refused to sell. Shiuwen’s friend also warned her that the farmer might take her on a sight-seeing expedition; a rather treacherous one. The friend had almost died making the same trek. 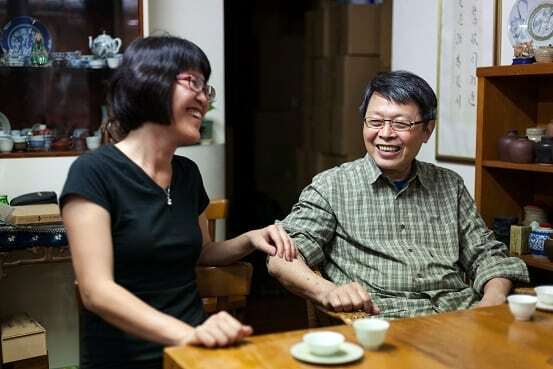 When Shiuwen met the farmer and his wife at their house, she had her mother and son in tow. They first had tea. But after the third infusion, the farmer got up and demanded that she come with him. He wanted to show her a place. This was the dreaded moment her friend had warned her about. Her mother even warned her not to go, using her son as leverage. 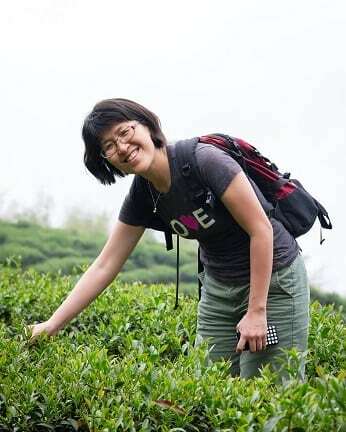 Shiuwen shrugged off the concerns and said she had tea to buy. They journeyed up a steep dirt hill. The only occupants of the glorified mount were a dead tree . . . and a rope. She braved the trip with the farmer and was rewarded with a gorgeous view of a waterfall crashing down into a pond. The difficult part was getting back down. But throughout the journey, all Shiuwen could think was, Thank God I didn’t die on Dong Ding Mountain. To date, I’ve heard this story twice. Once on my second encounter with Shiuwen in Portland. 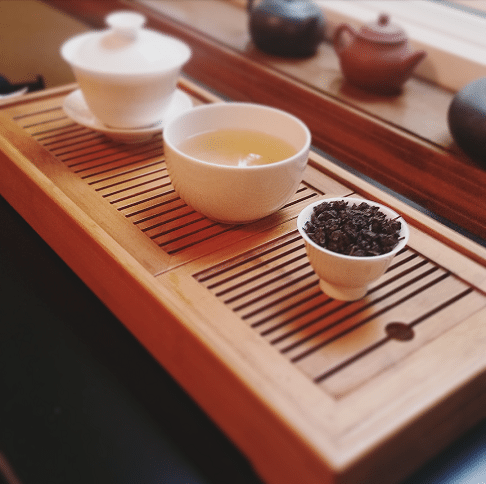 (David “PDX Tea” Galli had hosted a tasting at his old gallery space.) 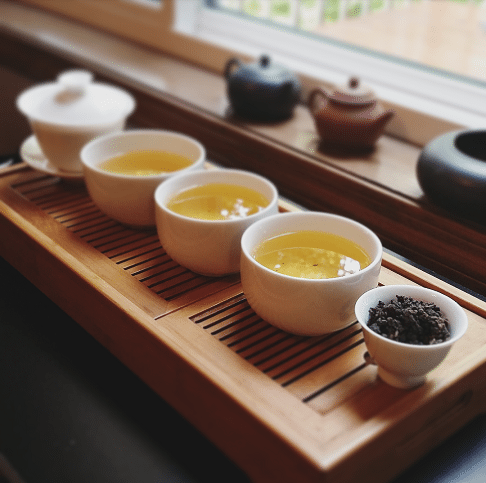 The second time was two weeks ago, at the Northwest Tea Festival. One of my main goals for the festival this year was to attend some of the comprehensive workshops. And hearing Shiuwen go off on Dong Ding oolongs again was an absolute must. The woman knew her oolongs. During that workshop, I had several. I even lost count of the number of infusions we did. 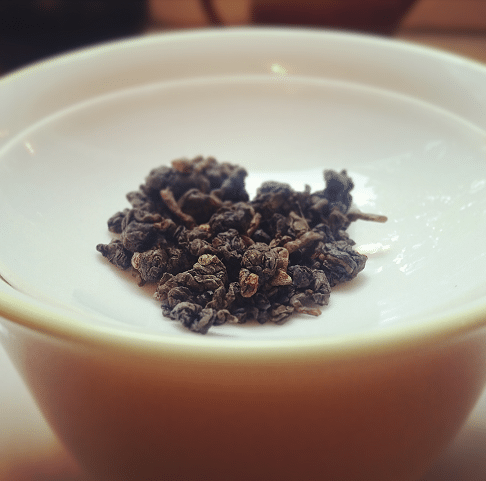 Among the wares featured were a fake Dong Ding from the Mount Zhou area, a double-roasted true Dong Ding, a triple-roasted Dong Ding (same roaster), a quad-roast, and the coup de grace—an item from her personal stash, a 35-year-old Dong Ding. As I left, I could barely feel my face. Dong Ding drunk, though I was, I did muster up enough cogency to acquire the Two and Three-Roast oolongs for my personal palate perusal. Reason being? They were roasted by the same dude. This dude, to be precise. Shiuwen Tai with Master Zhen. Photo by Jake Knapp. That and they were also made from the same tea tree cultivar. The so-called “soft stem” tea bush, specifically. 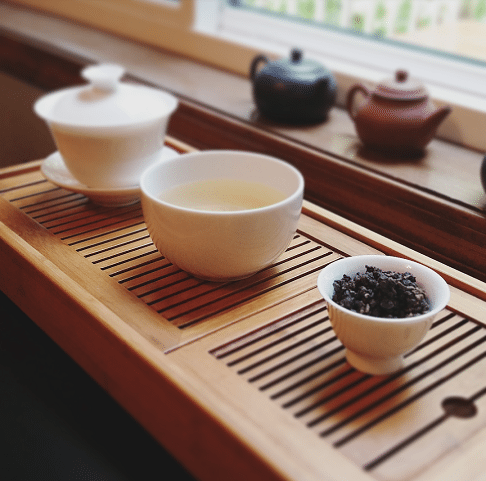 It was first introduced to Taiwan in the 1850s, and it’s often confused with Qing Xin—another very common Taiwanese oolong cultivar. They look the same, save for the fact that soft-stem cultivar is more delicate and less hearty. Dong Ding tea fields. Photo by Jake Knapp. The Two-Roast and Three-Roast both hailed from the 2015 harvest year. The Two was fired over charcoal in July, whereas the Three was flame-licked in July and August. At the workshop, I hardly picked up on the nuances I was supposed to. Mainly due to the fact that I was tea-buzzing—hard. For the first infusion, the liquor came out very light with just a tinge of rusty brown. But the aroma filled the drinking area with toasted macadamias within seconds of splashdown. This was one pungent li’l sucker. The flavor was gentle and warm, and smoothly flowed down my very spirit until it hit my loafer’d feet. I felt like a marshmallow after being put over a campfire, only slightly burned on the inside. My shoulders slumped in relaxation. 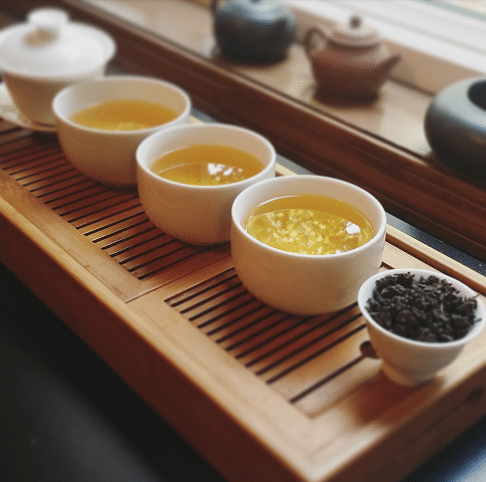 Further infusions brewed to liquid gold personified. The aroma they gave off was like whiskey-dipped s’mores. Sips from each were like a brain-hug from a Buddhist angel’s bosom. Nuanced taster notes escaped me, and my vision became crisper as my mind’s eye blurred. In this state . . . I still had to move on to the second tea. The visual presentation of the Three-Roast differed from the Two-Roast in the subtlest of ways. At a glance, they looked exactly the same. Rolled the same, colored the same. But there were traces of alteration. No greens were left on the balled leaves themselves. The browns were more pronounced, and the beiges were more red. The aroma was (obviously) roastier and heartier, but also . . . cleaner. Smoother. Like the rough edges had been mellowed out a bit; or smoking tobacco through a meerschaum pipe instead of a corncob. The first infusion colored the same light brown as the second-roast, but the steam smell was deeper—chocolatier. The same was the case with the taste. All the notes were similar save for a general feeling of . . . chocolate-glazed toast. Or rather—as I expressed in an earlier tasting with Shiuwen—having my brain massaged with chocolate-glazed toast. That added layer of roast brought out more requisite sweetness in the leaves. Infusions two-to-four kept the chocolaty/creamy aspect, but also had the added benefit of a—not just roasty sensation—but something that came across as . . . smoky. Not “Lapsang” smoky, nor “peat moss” smoky. Having that “well-deserved-smoke-break” feeling without ever needing to take a drag off a cigarette; that feeling. It was a relaxing, and it seemed to permeate throughout my very being—like I was letting off exhaust fumes from my aura. Sure, we’ll go with that. 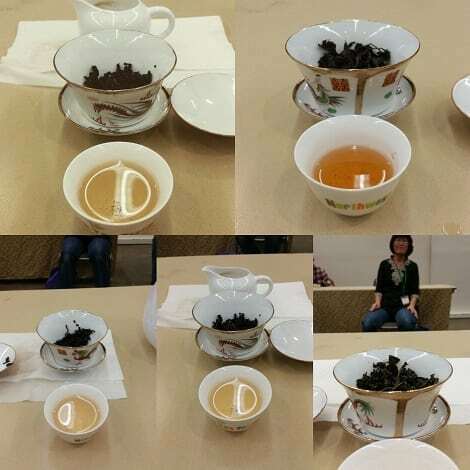 Shuiwen Tai mentioned in her workshop that the tea drinker should be able to pick up on how the tea moved throughout their body, particular the throat area. Honestly, to this day, I still can’t pick up on that. Not sure what it is; maybe I’m just wired wrong. Wait, no, I am wired wrong. True fact. 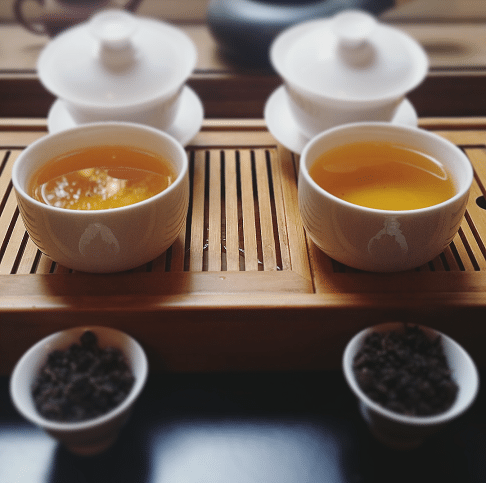 Oolongs—particularly Taiwanese ones—go straight to my head . . . and out my head chakra. Or at least, that’s what it feels like. 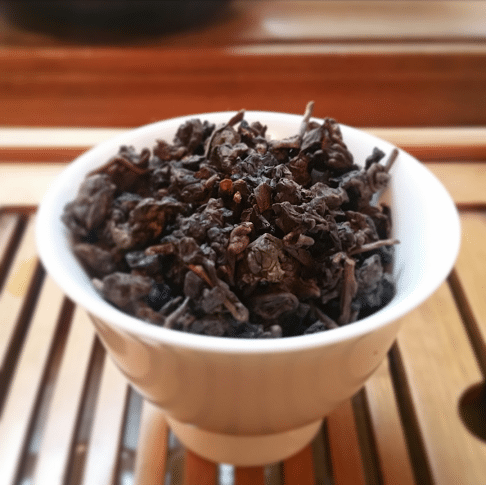 Until this month, I didn’t really pay Dong Ding Mountain, or the oolongs from there, any real credit. I mainly stuck with my Ali Shan preference and rarely left that mountain. Leave it to a woman who almost died on that tea mountain to broaden my horizons. To buy the Two-Roast, go HERE. To buy the Three-Roast, go HERE. 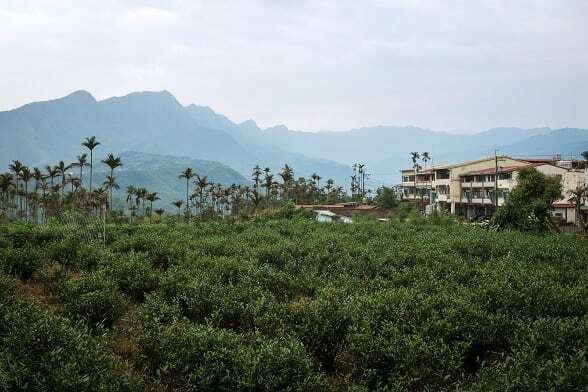 And speaking of Dong Ding Mountain, Shiuwen Tai and photographer Jake Knapp are aiming to make a documentary on growers in that region. They are hoping to fund the project through GoFundMe. Take a Look! Give if you can. I’m pretty sure the documentary will be worth it. C’mon, guys, she almost died for your tea. Love Shiuwen and her teas. This is where our tea comes from.